As you may already know there had been a massive early shipment from Amazon UK of GTA V. The PreOrder copies of GTA V made it to the doorsteps of some lucky people when Amazon UK broke the embargo of 17th September and shipped it early. The matter is currently being investigated by Rockstar. However the ones that did receive Legit copies of GTA V early due to the Amazon Mishap might not be very lucky after all. 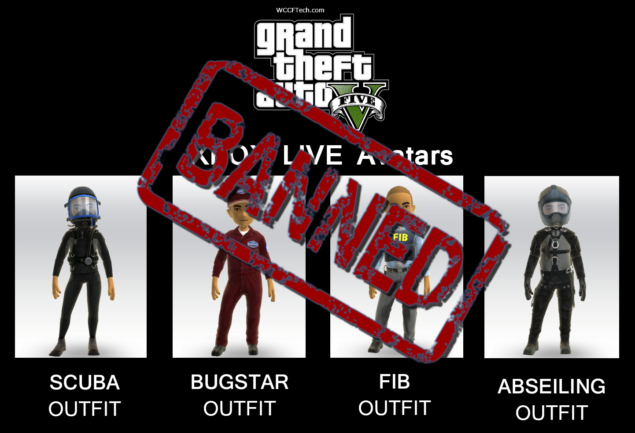 Receivers of Early Shipment of GTA V from Amazon should exercise caution or risk getting banned. The problem is simple, Microsoft has been banning people over on Xbox Live who posted any video or picture related to GTA V (ingame of course) before the release date (17th September). This action is being taken by Microsoft to ban any obvious Pirated GTA V Users and it was all in a days work until Amazon screwed up shipped GTA V Legitimate copies before the Release Date. After which we started receiving reports that people who had legally bought GTA V and got it from Amazon ‘s early ship are getting banned. The reason? they posted some innocent Video or Picture of ingame GTA V and got tagged as Pirates. Pretty sad seeing that they didn’t actually do anything wrong and payed the price. However as far as we can tell there have been no repercussions from the Sony or Playstation on using the early copies. So if you received an early copy of GTA V on the PS3 you are probably safe enough. It would have been interesting to see Microsofts response had there been more time. Quite an interesting conundrum it would have been for the Xbox Live people – Ban the Early Users and risk banning Legit users OR let the Early Users live and let crime pay.